We purchased the lake in 2010 and spent the year working on the grounds and lake to make it ready to open in 2011. The first years were difficult but some amazing customers and our strong will to succeed got us through. Since then we have worked hard every year to improve, improving facilities to make your trip more comfortable, adding additional stock in 2012 and 2013, rebuilding swims in 2015 and 2016. and the addition of our own stock pond. We do not plan on adding any stock now but grow on our own Lac Rose carp. We This goes along side all of the maintenance work that is needed to keep our lake and grounds in as good a condition as possible. A winter feeding programme was introduced in 2016 which we are already seeing the benefit of, with many fish putting on nearly 10% weight each year. We welcome you to come join us at our home, Lac Rose. 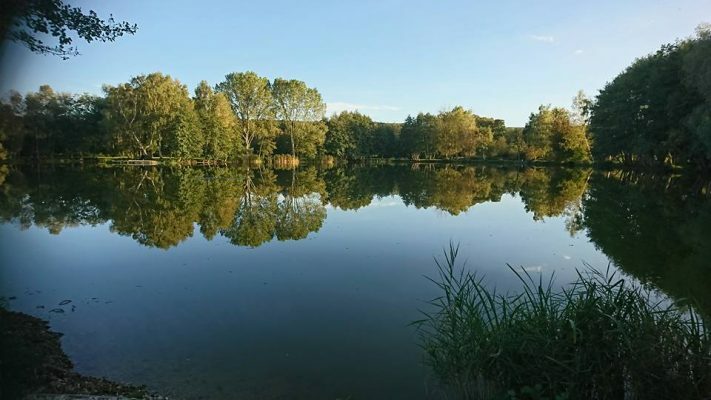 The chance to catch healthy, strong and hard fighting carp in a fantastic location. We would not class ourselves as a runs water, it can be difficult at times. Work hard and you will reap the rewards.